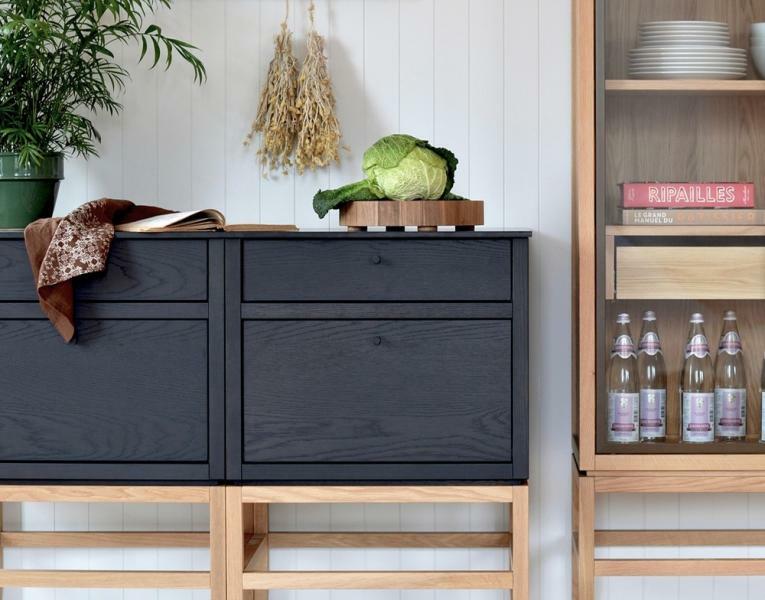 Kitchen design and manufacturing company Cuisines Steam says its coquo modular, freestanding furniture concept allows homeowners to assemble a custom kitchen and recycle the pieces in another room of the house. Part of the idea of the system is to act as a foil to the rise of the “ephemeral and the disposable,” the company says. Coquo is targeted at clients who are sensitive to the environment. 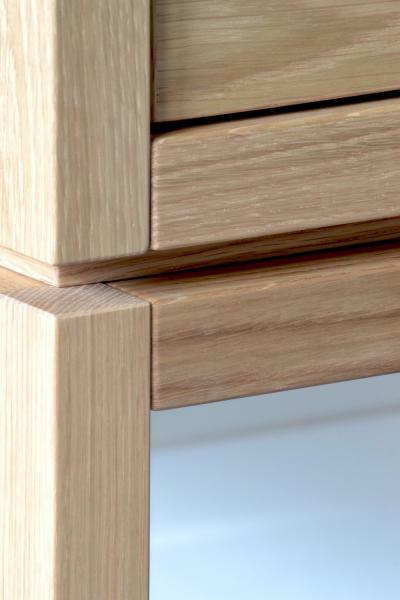 As a result, the pieces are made from recyclable materials such as solid wood and steel using traditional woodworking techniques such as mortise-and-tenon joinery and dovetail joints. Materials include solid natural oak, midnight black-stained oak, bronze-colored powder-coated steel, midnight black powder-coated steel, and cream powder-coated steel. “All our modules and collections are compatible and can be mixed so that you can create your own layout,” Brigitte explains. Made in Montreal, coquo modules will soon be available for purchase online across the United States and Canada. 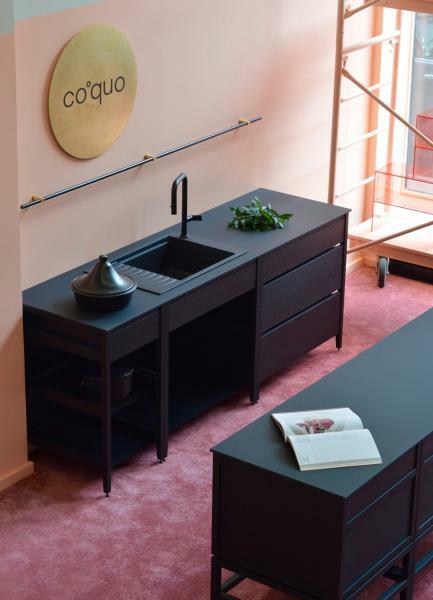 Coquo’s pop-up shop in Old Montreal. The C°2 two-drawer module combination shown in midnight black stained oak, white oak legs, and black Fenix countertops. 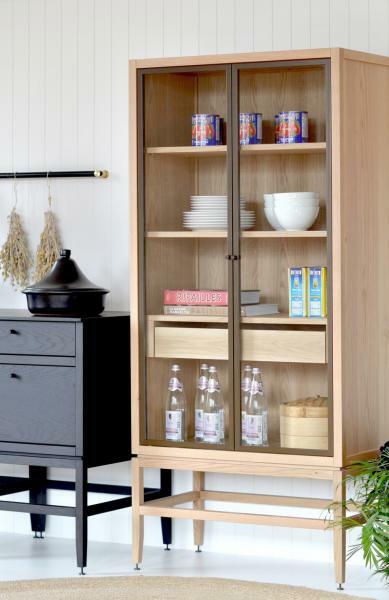 The C°2 Armoire features white oak and bronze painted metal framed doors. 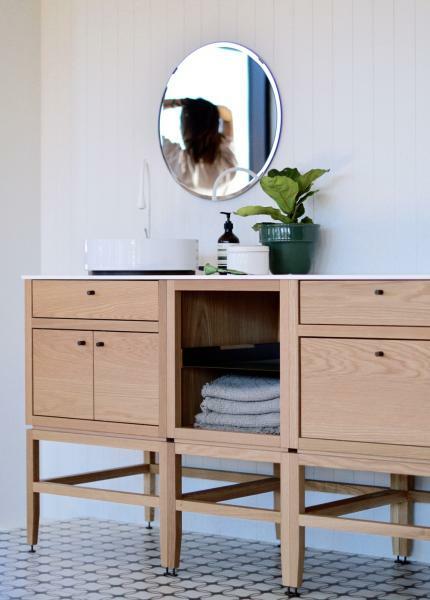 Used in the bathroom, the C°2 base module is shown in white oak and off-white Fenix countertops. The C°2 two-drawer module combination shown in midnight black stained oak and white oak legs. The C°2 armoire features glass doors and bronze painted metal framed doors. Coquo uses solid white oak and dove-tail traditional wood-working techniques. 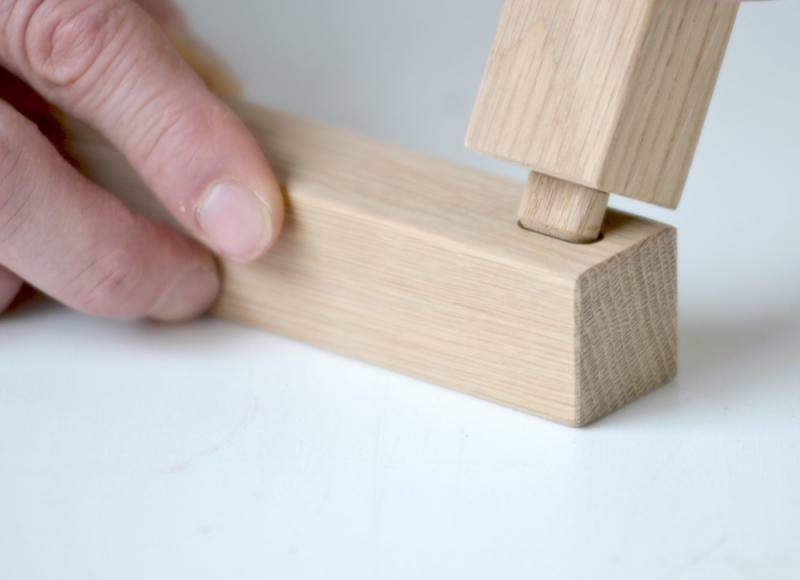 The system also uses mortise and tenon traditional wood-working technique. 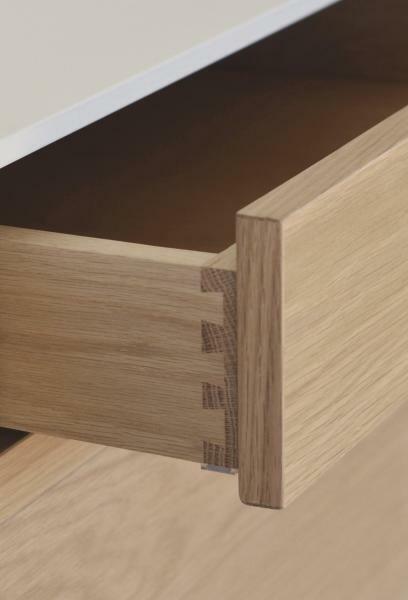 A close-up of the system’s solid white oak construction.